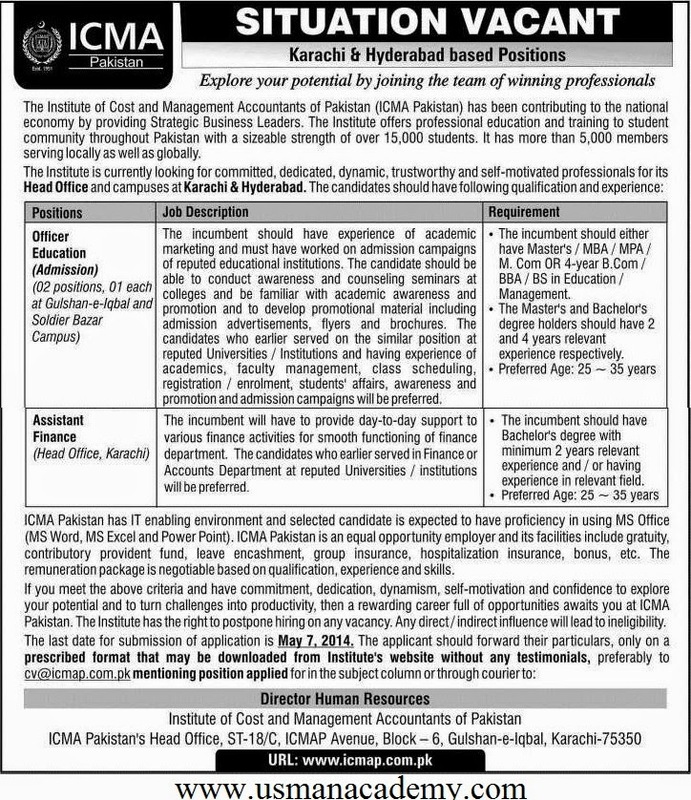 Assistant Education Officers required at ICMA Pakistan for their Karachi and Hyderabad campuses.IT professionals jobs at ICMA Karachi and Hyderabad locations.Last date to submit documents is 7 May 2014 with full required documents and the applications can be send to the HR department of ICMA Head office located in Karachi. Item Reviewed: Officer Education / Assistant Education Jobs in ICMA - Pakistanic 9 out of 10 based on 10 ratings. 9 user reviews.